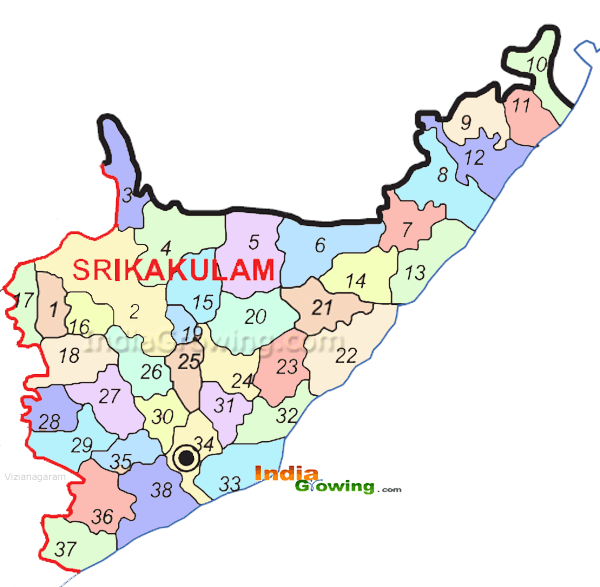 The Nearest Airport to Srikakulam is Visakhapatnam Airport.The Collectorate office for this district is Collectorate, and other popular district head offices are AMMA FOUNDATION ORPHANAGE , SRIKAKULAM, District Police Office, The nearby Fire service for this district is Old Bus Stand Road Fire Station. The District Library is District Library.The Head Post office for this district is in Srikakulam Head Post Office. and the Railway Station is Dusi Railway Station (station). In this village have no source for drinking water. this village people have no water tank. my village is nandigam .even big mandal in a.p .there is no junior college in my mandal.Nandigam and other villagers go to tekkali,and palasa for inter .it's difficult to study for somebody . There is no proper road for this village, people are used to walk 8km to reach nearest town Palakonda please lay good road. There is not identified my villagein our map. My village jagathi is very famous and popular for every sector that means in education cultivation and somany other activities and also well commanding and dominated for othervillages.so pl.put the village map in our MAP. In my village having only one bore well. so we are having to much of drinking water problem. in this village have not any protection from electrical shock. in this way this over villagers want to some protection from the shock. so, please provide shield wiring to over all village poll by poll from transformer.